Do you have ingrown toenails that need attention? Then you have come to the right place. 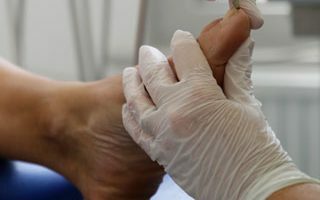 The Exeter Clinic has a team of specialists who provide nail surgery to remove ingrown toenails and painful nail conditions. Verrucae are warty growths, which occur on the soles or toes of your feet. These can be contracted in communal areas, such as swimming baths and changing rooms. The specialists at The Exeter Clinic provide quality fungal nail treatment services in Exeter. If you need to be treated for a fungal nail infection, visit our clinic today. Diabetes can cause a number of issues in the feet and if proper foot care and checks are not conducted a variety of complications can occur. The Exeter Clinic offers expert advice on holistic health management and diabetic foot care. 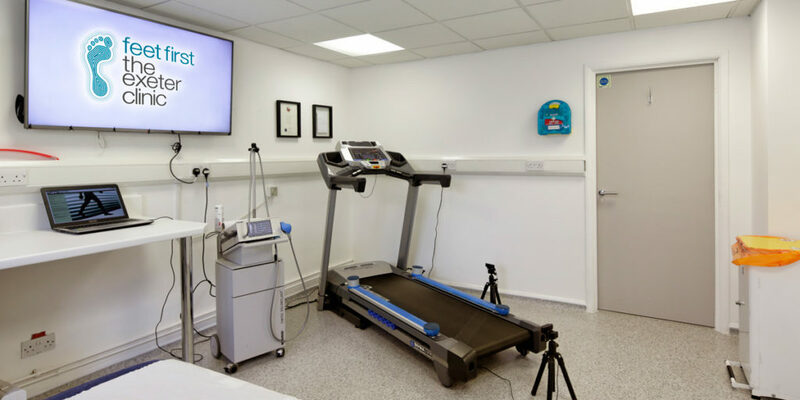 If you need a biomechanical examination and gait analysis, The Exeter Clinic is here for you. 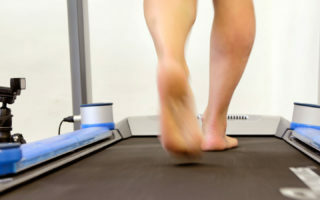 We can conduct a biomechanical examination for you and provide you with bespoke orthotics to improve the condition of your feet. Radial Shockwave Therapy, or RSWT, is offered to patients with Achilles Tendinopathy, Plantar Fasciitis, Medical Tibial Stress Syndrome and Patella Tip Syndrome. To book your appointment at The Exeter Clinic in Exeter, call us on the number below or click the ‘book your appointment’ button to fill in our booking form. 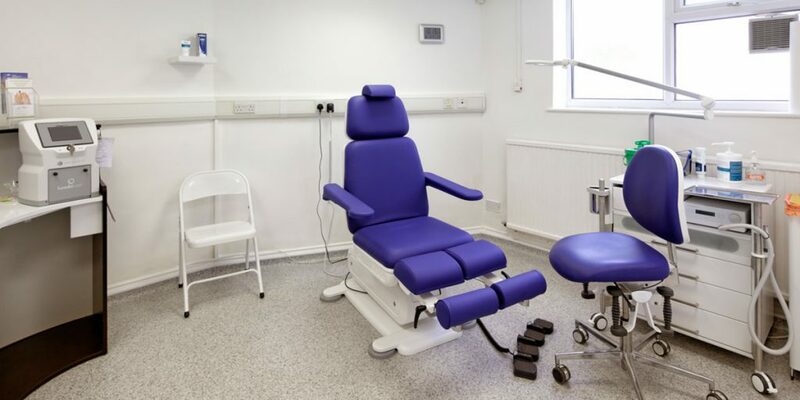 We provide nail surgery for ingrown toenails, relief and treatments for painful verrucae or fungal nail infections, plus holistic health management and biomechanical examinations. Get in touch today to find out more or fill in our online booking form. 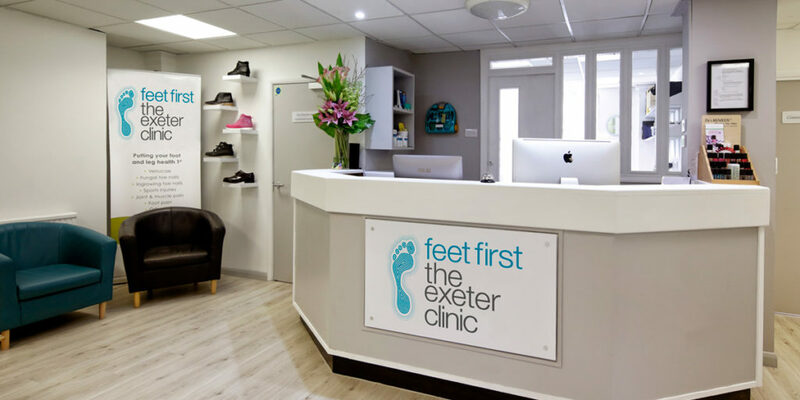 The Exeter Clinic has a team of specialists who provide a range of foot treatments for customers in Exeter. Come to The Exeter Clinic for a range of foot treatments in Exeter. Call us on the number below to book an appointment now.